Are you in the UK, longing for a mini-break, but feeling quite skint? You’re not the only one. 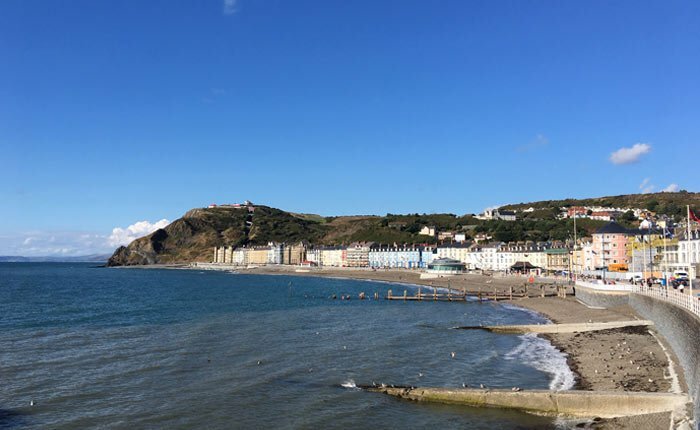 Luckily, you don’t have to fork out on expensive flights and accommodation abroad to have a good holiday – there are plenty of fun day trips right on our doorstep in the UK. Just remember to book your train tickets as far in advance as possible, and take advantage of student discounts! Obviously depending on where you’re living, some of these may be more of a literal ‘day trip’ than others – for some of them you might prefer to make it into a long weekend! 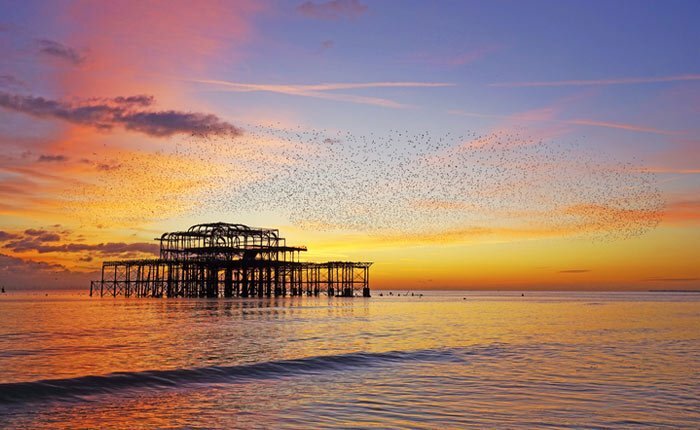 OK, so the first in our look at great day trips in the UK is probably more of a summer option, but I’ve been to Brighton in the depths of winter and it’s still just as pretty (not to mention a lot quieter!). If you fancy getting some fresh sea air, this student-friendly city is just an hour by train from Central London. As well as having the classic British seafront, top-notch fish and chips and a huge pleasure pier, Brighton has more sights to offer, such as the stunning Royal Pavilion, a former royal residence in a unique Indo-Saracenic style, with adjacent gardens. Take a break from arguing about its pronunciation and take a step into the Georgian era with a relaxing trip to Bath. 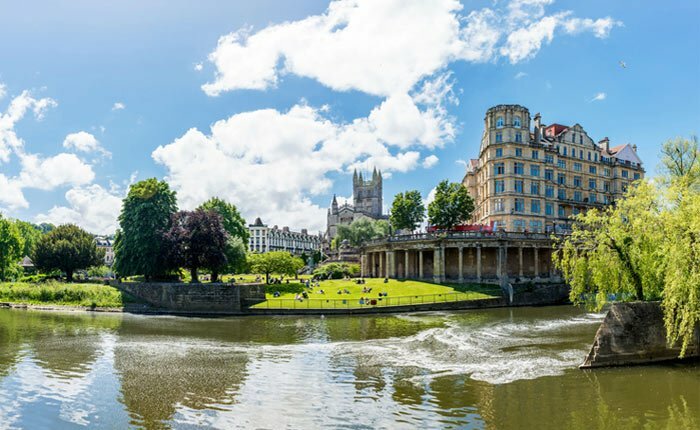 A UNESCO World Heritage Site, Bath is obviously most famous for its, well, baths – with the well-preserved Roman Baths dating back to around 70 AD, allowing you to walk through history. There’s also a fine selection of Georgian architecture, from the imposing Royal Crescent, Queen Square (in which you’ll find the former home of Jane Austen) and the Grade I listed Pulteney Bridge. You’ll be spoilt for choice for pretty pictures to post on Instagram! I could pretty much write a whole separate article on day trips in Yorkshire – not only is it the largest county in the UK, it’s also one of the most beautiful. You really shouldn’t miss county town York – a historic walled city originally founded by the Romans in 71 AD as Eboracum. Head to the historic Shambles to enjoy a unique shopping experience on the cobbled, narrow street – Harry Potter fans will be particularly enticed by The Shop That Must Not Be Named. 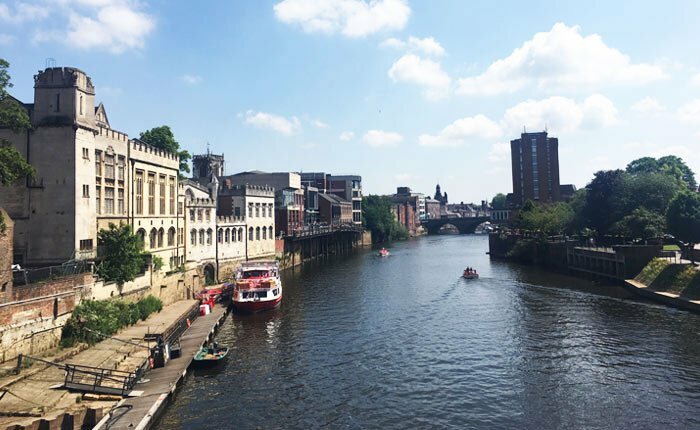 There’s also the York Minster, one of the most iconic cathedrals in the country, Clifford’s Tower, the York Museum Gardens, and the fascinating Jorvik Viking Centre, a museum including life-size mannequins and a ride experience which transports you back to the sights, sounds and smells of 10th century York. OK, so I’m a bit biased, seeing as I went to uni here. If we’re friends IRL, you’re probably sick of me droning on about how great Aber is any opportunity I get – but I can’t help it, I legitimately love this little town. It’s probably my favorite place in the whole world. Climb up Constitution Hill for some epic views of the whole town (or, if like me you’re not into trekking, you can take the Cliff Railway), walk the whole length of the picturesque promenade and ‘kick the bar’ on either end (a local tradition) then take a break by enjoying a delicious box of fish and chips – just watch out for the seagulls! And if you fancy a day-trip-within-a-day-trip on a sunny day, head down to Borth or Ynyslas, both just a short drive away, both of which have better sand than Aber. At low tide, you can even see the remnants of an ancient forest emerge on the beach. Or if you’re in the mood for a nature walk, head to nearby Devil’s Bridge (Pontarfynach), a place of outstanding natural beauty. 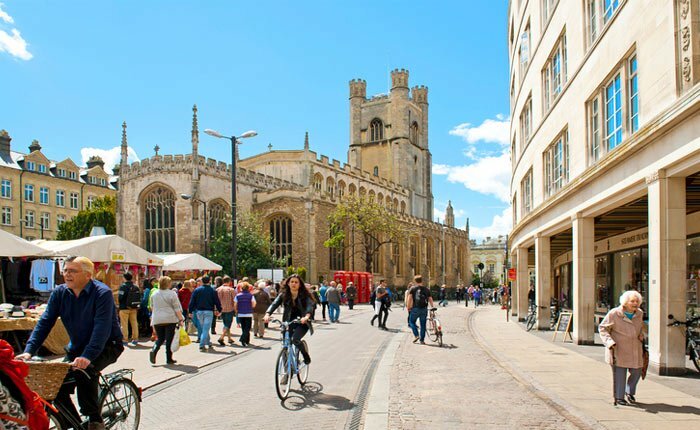 It’s a tough call on which one to feature out of the iconic university towns Oxford and Cambridge, but Cambridge gets the pick over its rival for being just a bit prettier (sorry Oxford!). Cambridge is an ideal day trip from London and boasts a wide range of stunning historic architecture, mainly in the form of university buildings such as King’s College Chapel, St. John’s College and the Fitzwilliam Museum, which boasts a huge range of incredible works of art and antiquities from ancient Egypt, Greece and Rome. Head here on a warm, sunny day and have a go at punting on the river Cam, then soak up the sun in the university’s beautiful 40-acre botanic garden. I couldn’t not include somewhere in Cornwall somewhere within my list of the best day trips in the UK, although admittedly Cornwall probably isn’t a day trip for most of us, as it’s very far from the likes of London and Birmingham. 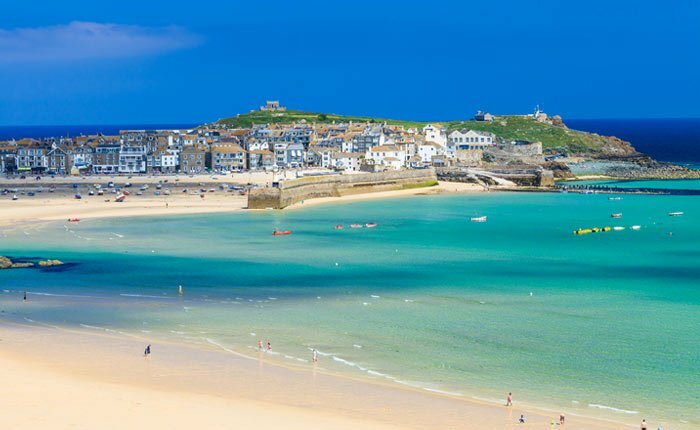 However, St Ives is my pick due to its stunning sandy beaches, with Porthmeor Beach, one of eight Blue Flag beaches in the county, coming particularly highly recommended and enjoyed by swimmers and surfers alike. But there’s more to St Ives, with a number of great galleries, cafes and museums to explore, such as the Tate St Ives, which exhibits inspiring work by local artists. Heading to the Scottish capital for the next in our look at the best day trips in the UK, Edinburgh is undoubtedly one of the prettiest cities in the country, as well as one of the most culturally active. Every August, thousands of people flock to the city for the iconic annual Fringe Festival, the largest arts festival in the world. 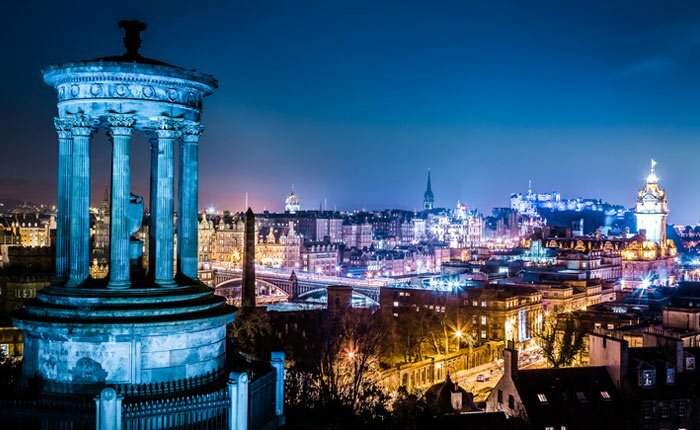 But there’s plenty to see all year round: you can climb Arthur’s Seat for spectacular views of the whole city, head to one of the cafés where JK Rowling wrote Harry Potter, and see the famous Edinburgh Castle (which dominates the city’s skyline). And if you’re a fan of all things spooky, take a tour of the creepy Edinburgh Vaults. 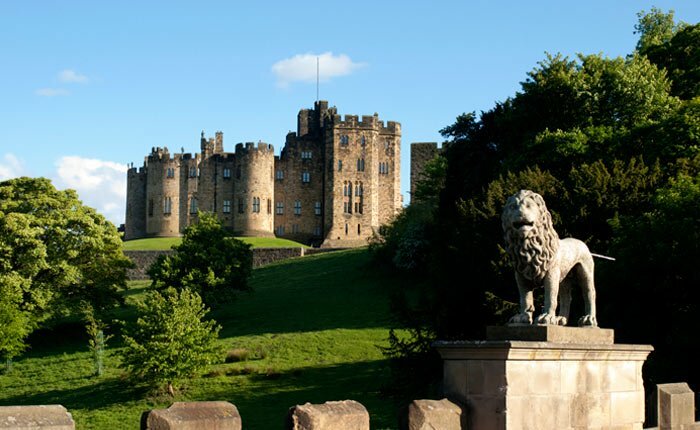 A fantastic day trip location for students in the North East of England, Alnwick Castle was a major filming location for the Harry Potter films, and a tour of the castle will give you great behind the scenes insights - a must for any committed Potterhead! The extensive castle grounds also include The Treehouse Restaurant, one of the best gourmet dining experiences in the North East, and the Poison Garden, which is home to hundreds of varieties of the world’s deadliest plants. The disused Alnwick Station now houses Barter Books, one of the largest second-hand bookshops in Europe, attracting over 35,000 bookworms a year. And if you’re interested in Titanic, it might interest you to know that luxurious fittings from its sister ship, the RMS Olympic, can be found in the White Swan Hotel in Alnwick. 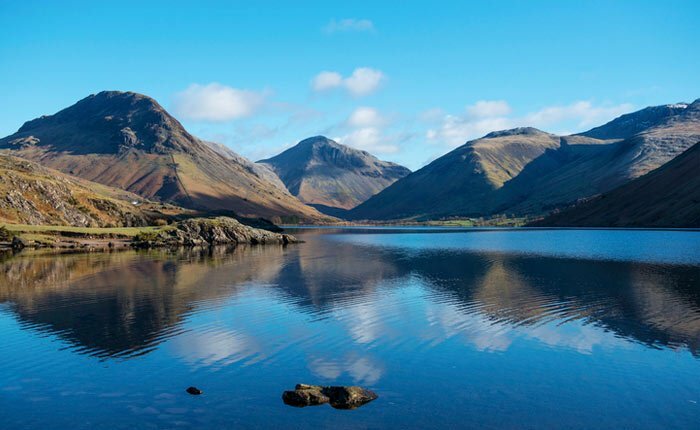 Ideal if you’re based in Lancaster or Preston, the Lake District is one of the most stunning national parks the UK has to offer, and is home to some of the country’s largest lakes and highest mountains. A UNESCO World Heritage Site, the views here are simply epic everywhere you look, with its mountainous area formed by the Ice Age. Attracting more than 15 million visitors per year, lovers of the Great Outdoors will be in heaven here, with ample opportunities for lake cruises, water sports and, of course, mountain walks. 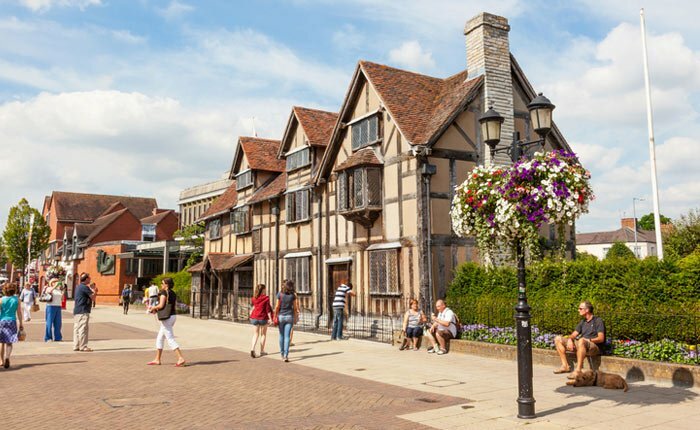 The final in our look at the best day trips in the UK is ideal if you’re based in the Midlands and a Shakespeare fan. The birthplace of the Bard, this cute medieval market town is just a short distance from Birmingham in the West Midlands. Explore Shakespeare’s childhood home, Anne Hathaway’s cottage (in the nearby village of Shottery) and the amazingly preserved Harvard House, home to the wealthy Rogers family. The ‘5 House Pass’ gives you the best deal, as you get unlimited access to five Shakespeare family homes for £22.50 (or £21.00 with a student card) for a year – ideal if you find you can’t get round to them all in one day. And if you’re in the mood for even more history, the impressive Warwick Castle is just a 15-20 minute drive away, and dates back to 1068 when it was built by William the Conqueror. Do you have any recommendations for day trips in the UK? Share them in the comments below!